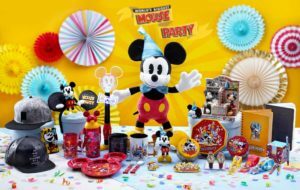 (HONG KONG, November 18, 2018) Hong Kong Disneyland Resort (HKDL) is celebrating Mickey Mouse’s 90th anniversary by throwing a limited-time global celebration – “World’s Biggest Mouse Party” from today to February 24, 2019. 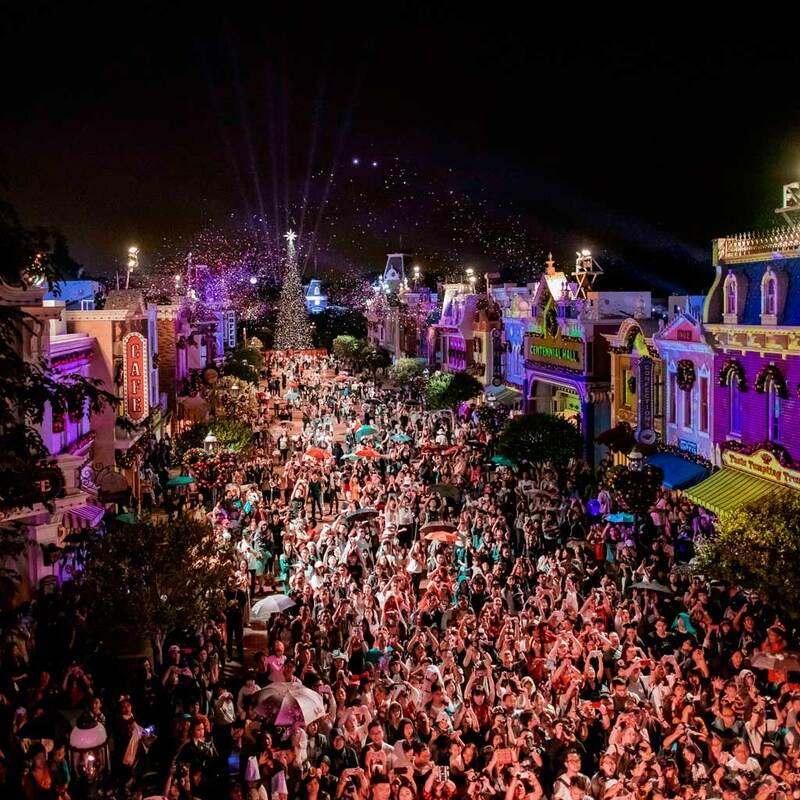 The party, filled with a rich line-up of exuberant resort-wide offerings, is the best choice for Disney fans to experience the magic of Mickey’s 90thanniversary. Guests visiting HKDL this winter can also enjoy an authentic Christmastime experience – with a Disney-style glow – from now until January 1, 2019. 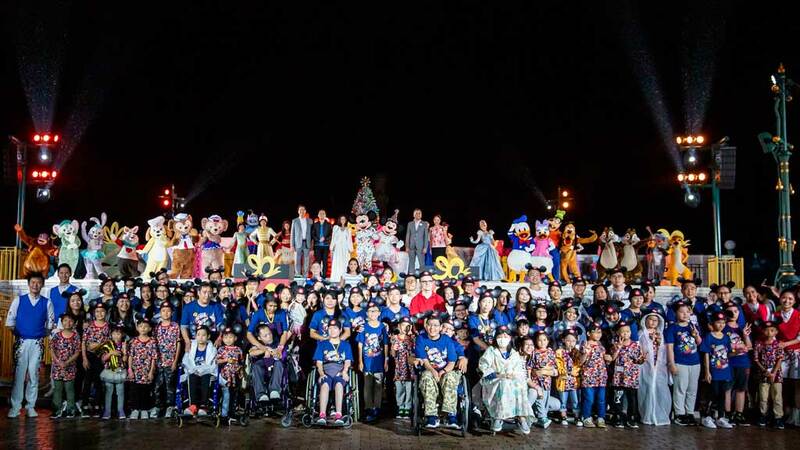 To celebrate Mickey’s birthday today, HKDL hosted “Mickey’s 90th Anniversary Celebration” and invited hundreds of Mickey fans, including local influencer Kay Tse, community members of Make-A-Wish Foundation, Disney VoluntEARS and other beloved Disney Characters to a one-of-a-kind party along Main Street, U.S.A.. Mickey and Minnie also met with their fans in their brand-new birthday outfits for the first time at HKDL. In honor of “Mickey’s 90th Anniversary Celebration” today, everyone was delightfully surprised by the appearance of 40 beloved Disney Characters, including Duffy’s new friend, Cookie, ShellieMay, Gelatoni, StellaLou, Goofy, Pluto, Donald, Daisy, Chip ‘n’ Dale, Elsa, Anna, Belle, Snow White, Cinderella, Rapunzel, Alice, White Rabbit, Moana, Rafiki, Timon, King Louie, Baloo, Aladdin, Jasmine, Genie, Carl, Russell, Winnie the Pooh, Tigger, Piglet, Buzz, Woody, Jessie, Mr. Incredible, Mrs. Incredible and Frozone. Mickey’s pals were invited by Minnie to sing “Happy Birthday” to him, marking the very first time that so many Disney Characters came together with guests to celebrate Mickey Mouse’s birthday! To celebrate Mickey and help make life-changing wishes come true for children with critical illnesses, guests are invited to take photos showing off their “Mickey Mouse ears” as Disney extends its Share Your Ears campaign from today until November 27, 2018. Snap a photo with a creative Mickey pose and upload it onto Facebook, Instagram or Twitter using the hashtag #ShareYourEars. For every public post, Disney will donate US$5 to Make-A-Wish®, up to US$1 million to grant even more wishes. Samuel Lau, managing director of Hong Kong Disneyland Resort, said Mickey Mouse is an iconic Disney Character and is beloved by countless HKDL guests. 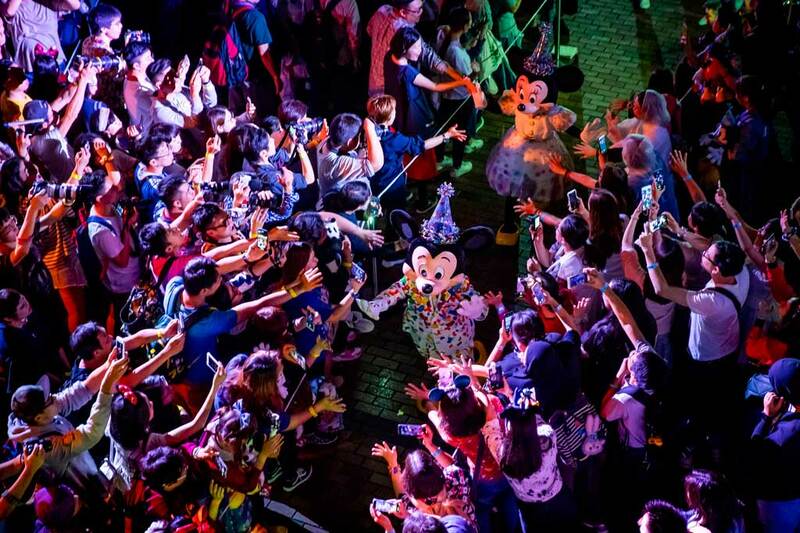 “Many people of Hong Kong have grown up with HKDL and Mickey Mouse. He truly represents the magic of HKDL and is loved by all.” Lau said. From tomorrow (November 19, 2018) until February 24, 2019, guests will be treated to the special birthday edition of the “We Love Mickey!” projection show – a visual projection extravaganza that highlights Mickey’s stellar career along Main Street, U.S.A. 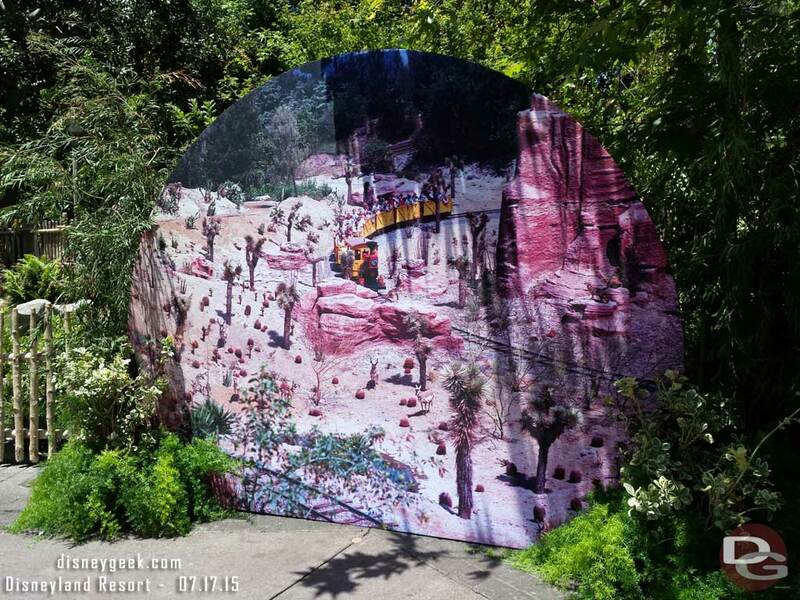 This energetic show transforms the buildings of Main Street, U.S.A. into a canvas of vibrant, colorful visuals that pay tribute to Mickey’s major milestones, with stunning visual displays of Mickey through the ages. This birthday edition is enhanced with lyrics reflecting a special message for Mickey, inviting everyone to join together to wish this very special mouse “Happy Birthday!” During the climactic moments of the show, Mickey and our fabulous party host, Minnie, appear in their brand-new birthday outfits that complement the party’s colorful exuberance. Mickey’s crisp white suit features a shower of colorful confetti, while fashion icon Minnie wears a beautiful bubble skirt and a puff-sleeve dress adorned with pompons. Hong Kong Disneyland Facebook page also hosted a live broadcast of “Mickey’s 90th Anniversary Celebration” today. 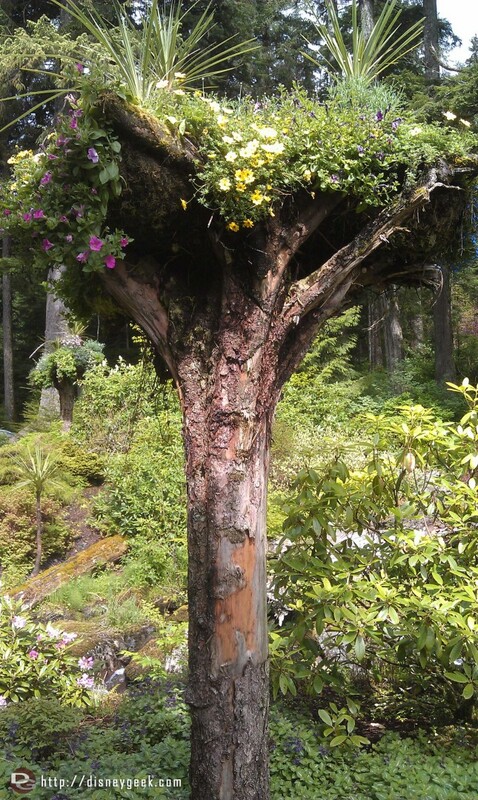 Experience the most exciting moments by checking out our Facebook post. Starting from today, guests entering the park can also receive special birthday stickers from cast members while strolling along Main Street, U.S.A., while stock lasts. Exclusive celebration offer for Hong Kong residents To be fully immersed in the birthday spirit, you can also plan a memorable celebration with your loved ones by taking advantage of an exclusive celebration offer for Hong Kong residents only. Special rates start at HK$1,799* for a one night stay at any of Hong Kong Disneyland Resort’s hotels, including a standard room with a decoration bundle, bed runner, door sticker, amenities tin box, slippers, balloons and greeting card. *Hong Kong Resident exclusive: “Let’s Celebrate” Hotel Room Package is available for booking between now and December 5, 2018, and valid check-in dates are from November 21 to March 31, 2019. Whet your birthday appetite with delicious dining Do not miss the delicious birthday-themed dining options around the resort, including over 40 new birthday-themed food and beverage items, HKDL-exclusive Mickey Sip Sip commemorative cups, Mickey Balloon popcorn buckets and a mouth-watering variety of birthday desserts at select restaurants. 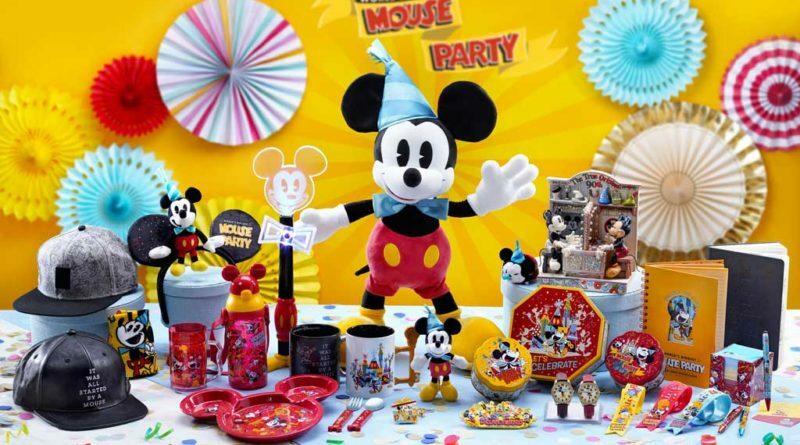 One must-have item is the 18′ tall Mickey plush toy with a commemorative “World’s Biggest Mouse Party” tag and HKDL logo. 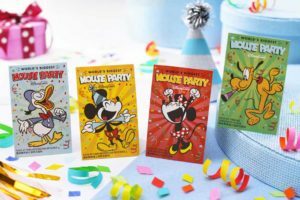 Guests will also love new birthday items featuring Walt Disney’s famous quote, “It was all started by a mouse,” emphasizing just how beloved Mickey is as a Disney Character. Inviting our Magic Access Members to share the joyful moment, from now to December 22, 2018, Members may redeem an exclusive jigsaw puzzle and character cards with any Eligible Purchase* receipt on the same day and valid membership card at Magic Access Member Service Center in person. Each member can redeem once. The gifts are limited, available while stock lasts. * “Eligible Purchase” refers to any spending on the designated merchandise, food and beverage (except for purchase at outdoor vending carts, Hollywood & Dine at Disney’s Hollywood Hotel, Chart Room Cafe at Disney Explorers Lodge, Sea Breeze Bar at Hong Kong Disneyland Hotel and hotel room service), hotel room charge, parking fee, designated ticket and membership purchase made by the Member in the Hong Kong Disneyland Resort and the Magic of Hong Kong Disneyland at Hong Kong International Airport. Only the original receipt with the same issue date as the souvenir redemption date and showing the Magic Access membership card number or with a designated chop are accepted. Since his big-screen debut in Steamboat Willie on November 18, 1928, Mickey has become a global pop-culture phenomenon and the unmistakable face of The Walt Disney Company, reminiscent of everything joyful from our childhood. For more details on the “World’s Biggest Mouse Party” at HKDL, visit hongkongdisneyland.com now.